In booking spoke to a fantastically helpful staff member and the complimentary welcome pack was a very nice touch, thank you!! A very comfortable, well appointed cottage. Nice welcoming gourmet food gift. 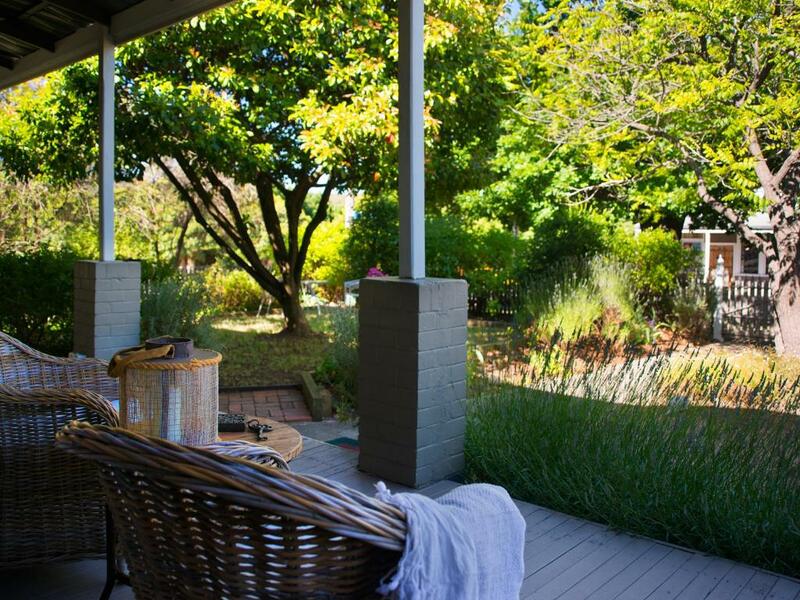 Within walking distance of mineral springs, cafes and restaurants. As soon as we opened the door we could see the welcoming food and drink hamper, it was a lovely surprise! The bed was very comfy and the electric blankets were a great idea as it was very cold that time of year. The room and bathroom was immaculately clean. The surrounding gardens are very tranquil and well kept. The kitchen was very well stocked with utensils and appliances. The TV was easy to use, and the arm chair was placed perfectly in front of the TV. 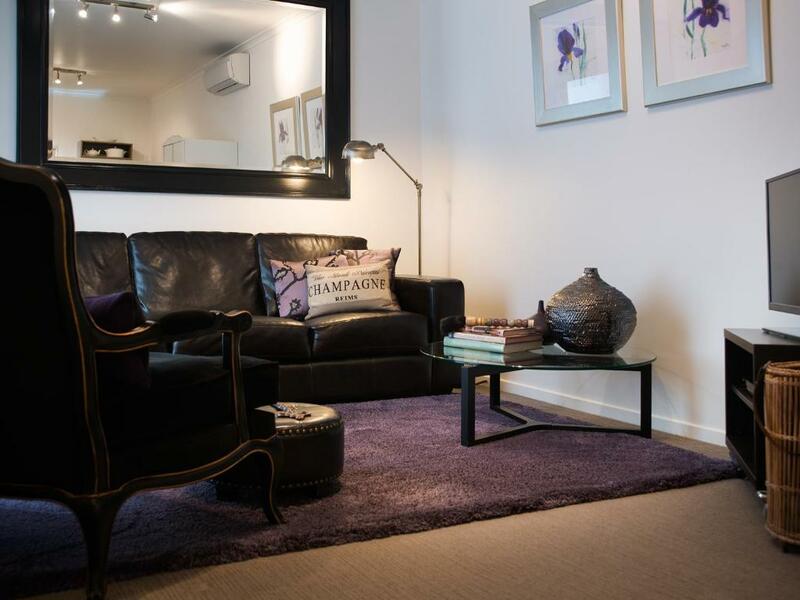 Overall I was pleasantly surprised by the accommodation, it exceeded my expectations. I would highly recommend the apartment to my friends and family and most defiantly intend on staying again. Only criticism I would make is the heater is positioned in an odd place and doesn't heat the room to my liking. quiet and don't have to interact with anyone. There's a welcome pack with the local delights which was nice. easy check in and out. loved the electric blanket. Ipod speaker was nice. have parking spot. Pictures are an accurate portrayal of this venue. Cute, comfy and a great location. Lovely property and delightful welcome box of local goodies unexpected but very welcome. Very private space, spotless, perfectly situated. Bed was comfortable. Villa was clean. Very quiet. The facilities were good for a couple. The goodie pack was yummy. 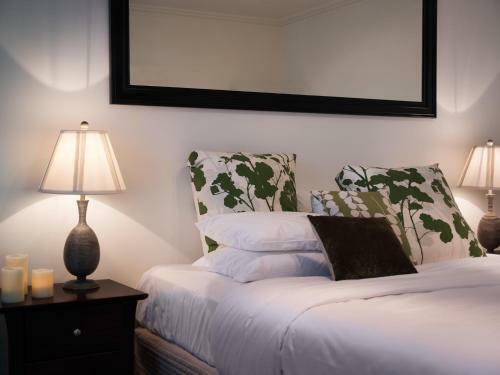 Lock in a great price for Spa Villas on Main – rated 8.9 by recent guests! Spa Villas on Main This rating is a reflection of how the property compares to the industry standard when it comes to price, facilities and services available. It's based on a self-evaluation by the property. Use this rating to help choose your stay! One of our best sellers in Hepburn Springs! 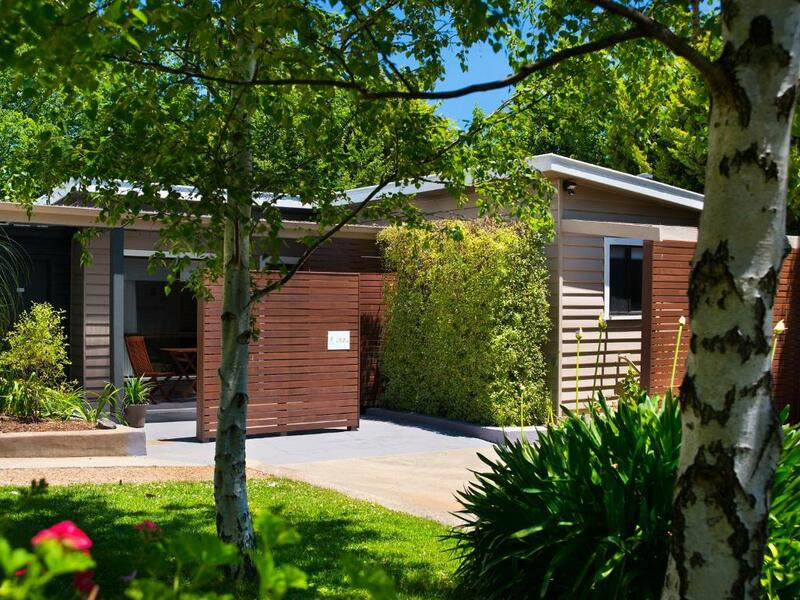 Located in the heart of Hepburn Springs, Spa Villas on Main offers contemporary self-contained accommodations in a beautiful garden setting. All studios feature a luxurious spa bath, and a private outdoor area. A gourmet hamper is provided on arrival. Located on Main Street, you can take a 5-minute stroll to the nearby cafes and restaurants, or visit Hepburn Springs Bath House. 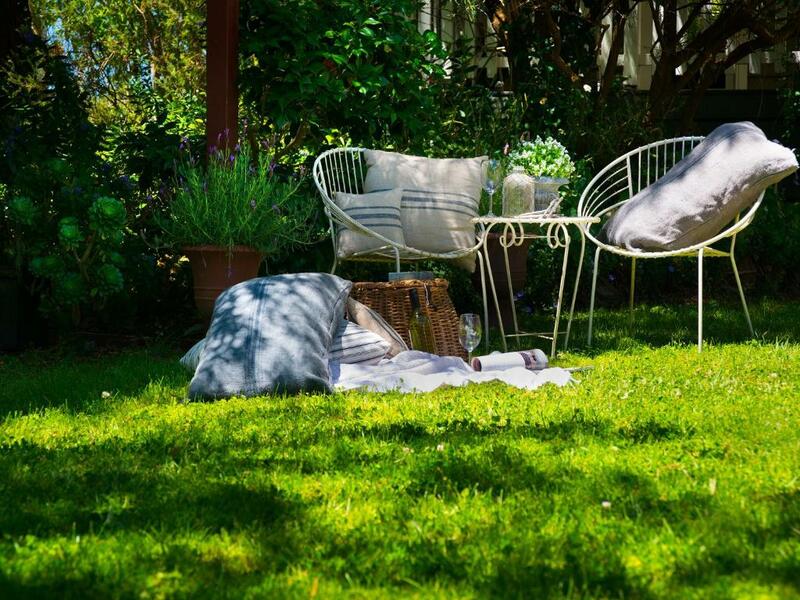 It is a short 2-minute drive from the town of Daylesford. Melbourne Airport is a 90-minute drive away. Guests are welcome to relax in the gardens or unwind on the sun terrace. Free on-site parking is available. All air-conditioned accommodations features a fully equipped kitchen with microwave Each has flat-screen TV and an iPod docking station. Some have a cozy fireplace. This property is also rated for the best value in Hepburn Springs! Guests are getting more for their money when compared to other properties in this city. 뀐 Located in the top-rated area in Hepburn Springs, this property has an excellent location score of 9.4! When would you like to stay at Spa Villas on Main? This air-conditioned, open-plan studio features a 2-person spa bath and a patio offering garden views. It includes a fully equipped kitchen with stainless steel appliances, a flat-screen TV, a DVD player and an iPod docking station. Offers free off-street parking right outside the studio. This air-conditioned, modern open-plan studio features a 2-person spa bath and a patio offering garden views. It includes a fully equipped kitchen with stainless steel appliances, a flat-screen TV, a DVD player, a selection of DVDs and an iPod docking station. Offers free off-street parking right outside the studio. This air-conditioned, open-plan studio features a gas log fireplace, 2-person spa bath and a patio offering garden views. It includes a fully equipped kitchen with stainless steel appliances, a flat-screen TV, a DVD player and an iPod docking station. Offers free off-street parking right outside the studio. Please note the rate is based on 2 guests. Maximum occupancy is 4 (see Hotel Policies). 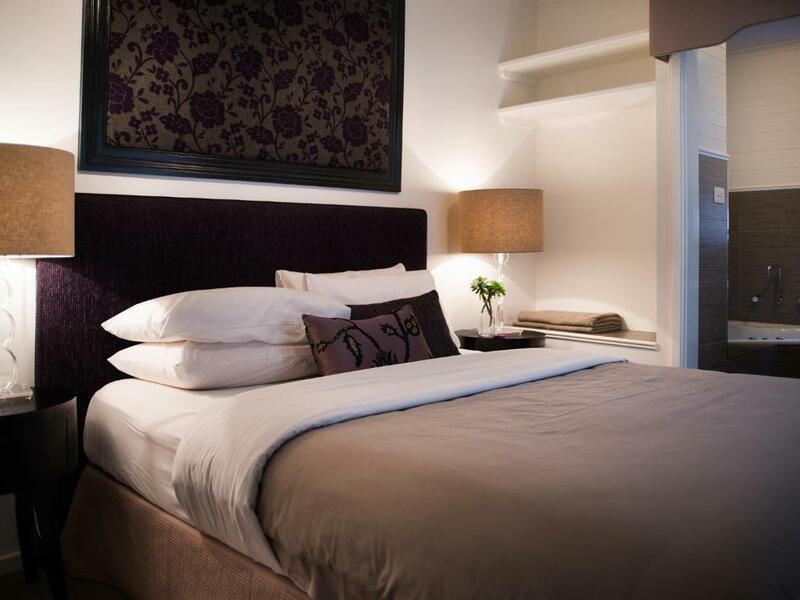 The 3rd and 4th guests will be accommodated on a sofa bed. Please advise the property of the number of guests staying in each room in advance. You can use the Special Requests box when booking, or contact the property using the contact details found on the booking confirmation. 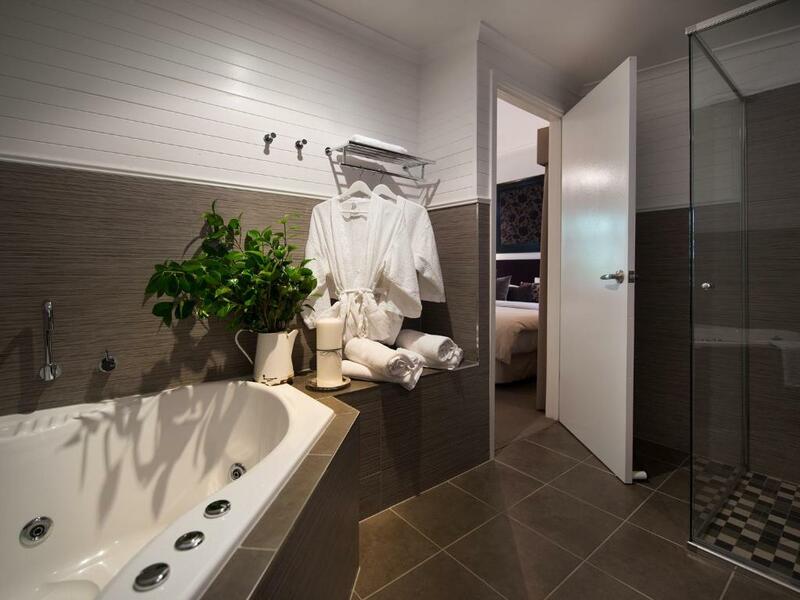 Spa Villas on Main is luxury accommodation nestled in Hepburn Springs, right in the heart of the Daylesford and Macedon Ranges region. We have three beautiful villas that allow you to escape the rat race and just unwind, whether it's for one night or a week if you wish! Hepburn Springs is a unique part of the world, surrounded by deep springs of mineral water, amazing forest and wildlife, as well as being one of the most serene and relaxing places on earth! House Rules Spa Villas on Main takes special requests – add in the next step! Spa Villas on Main accepts these cards and reserves the right to temporarily hold an amount prior to arrival. The fridge was quite noisy and some of the spa jets were not working. The complimentary gift box with products from the area was terrific! The dimmmable lights were good too. While keys were in the cottage as advised, tried to enter through the main door which was locked. Turned out the villa is subdivided and meant to enter through a 'side' patio/glass door. Took about 1.5 hours to realise this, which was not ideal especially after a 4 hour summer drive. Tried to contact hosts but got in before they were able to get back to us. Can't think of anything negative to say about the place, everything was great! The heater was positioned in an odd place and the room wasn't warm enough at times. I found myself hoping in to bed early with the electric blanket on to defrost. would prefer a queen sized bed instead of 2 singles. could've more on heating system during winter as the air conditioner (heating) was just not enough to heat up the whole unit and also probably some heating lights in the bathroom or heating system would be great. also would suggest to provide disposable slippers for the bathroom as during winter is just too cold on flooring. The wall was blocking for powerpoint as some chargers are L shape so couldn't charge next to bed. It's an old building that needs a pest man to attend. There were either rats or mice in the wall near the sofa. Also the spa bath wasn't thoroughly cleaned before we used it. There was debris that came out of the jets. 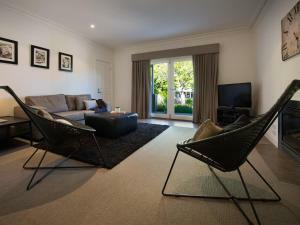 Gorgeous accommodation in a great location. It appears that no restaurants are open early in the week. Everything, Mum and Dad also loved the videos.